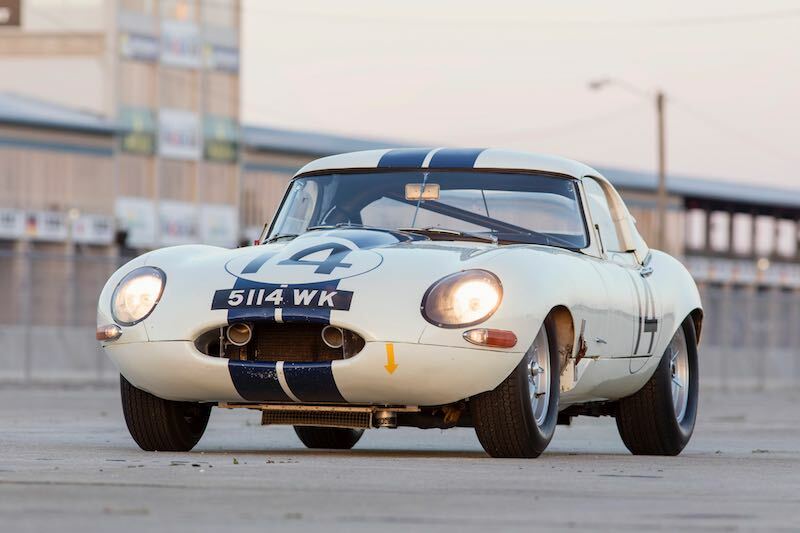 A 1963 Jaguar E-Type Lightweight Competition Coupe will be offered at the 2017 Bonhams Quail Lodge auction, scheduled for Friday, August 18th at Quail Lodge in Carmel, California. 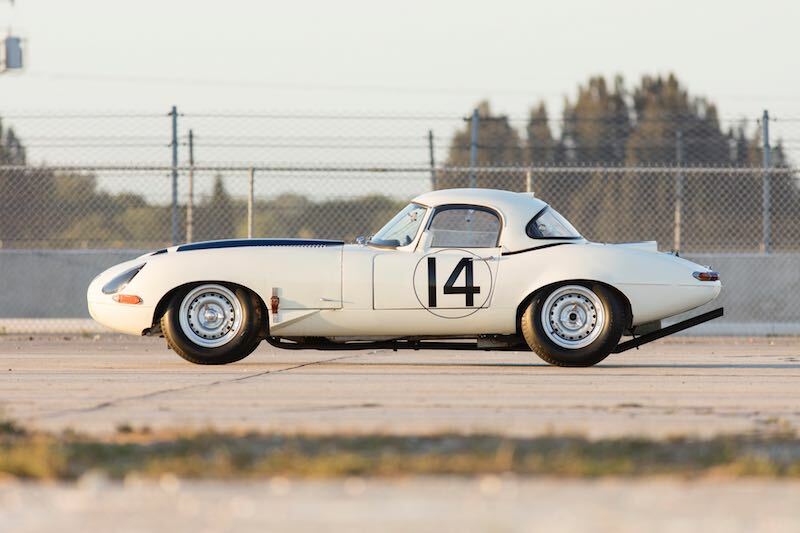 The ex-Team Cunningham Jaguar will be among the headline consignments at Bonhams’ 20th anniversary collector car auction staged during Monterey Classic Car Week. 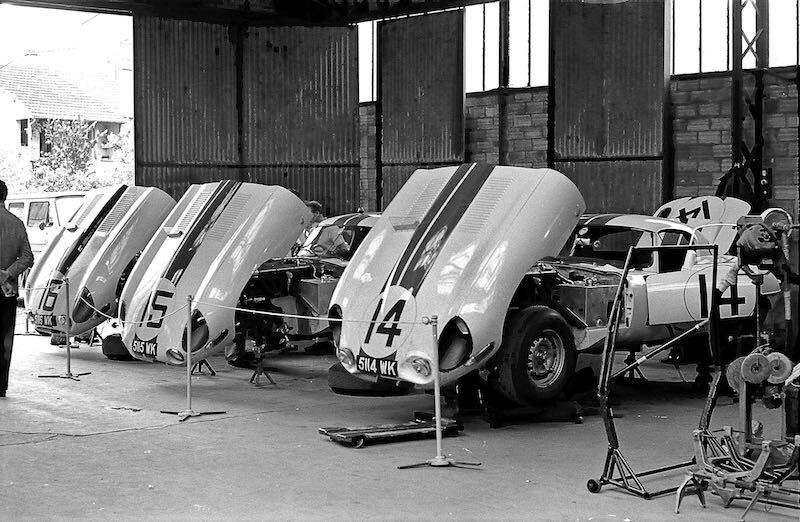 As the factory effort in 1963 for Jaguar, the Briggs Cunningham team flew the works banner at Le Mans where this car — chassis number S850664 — made its appearance as Number 14. Later, Team Cunningham would race it at the Road America 500 and then again at the Bridgehampton 500 where it finished fourth overall. Once retired, chassis S850664 was displayed at the Cunningham Museum and, after Cunningham sold his private collection, was later owned by collectors Lord Bamford, Paul Vestey and Campbell McLaren. 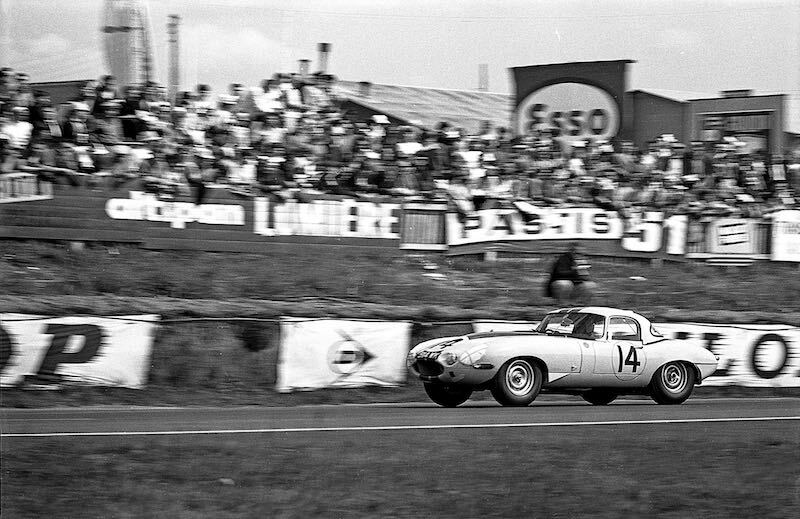 The Team Cunningham #14 Jaguar E-Type has been featured in many books – indeed, claiming its own chapters – and even made into toy cars. Bonhams called the E-Type ‘Genuine, highly original, well documented and eligible for most of the world’s great races, rallies and concours events’. For further information, visit Bonhams.com/Quail. One image shows # S850664 at the Collier Museum. When was that photo taken? I have been a member of the REVS Institute for 5 years and have never seen that car. 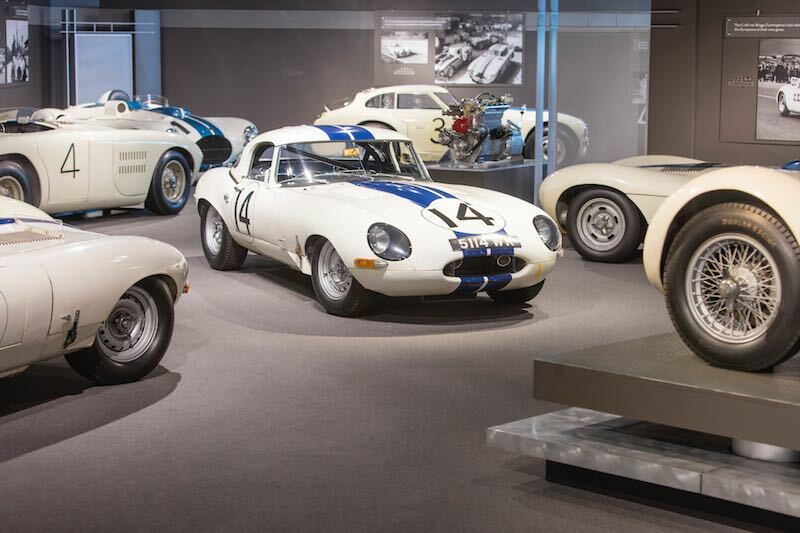 Collier has two Jaguars – a 1955 D-Type and a 1962 E-Type # 860630. Also, Bonhams does not mention Miles Collier as a significant previous owner. The E-Type in question – S850664 – was only photographed among Collier Museum’s Cunningham cars. They did not own it. This one may go well over the price paid for the Australian lightweight. Can it make ten million? 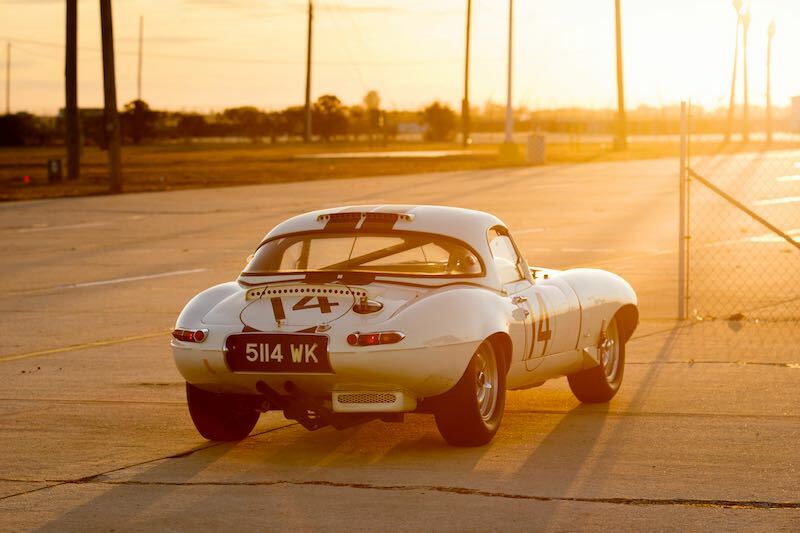 What is the racing history of the e-type? What drivers raced the car?